Reflex Fiction is a quarterly international flash fiction competition for stories between 180 and 360 words. 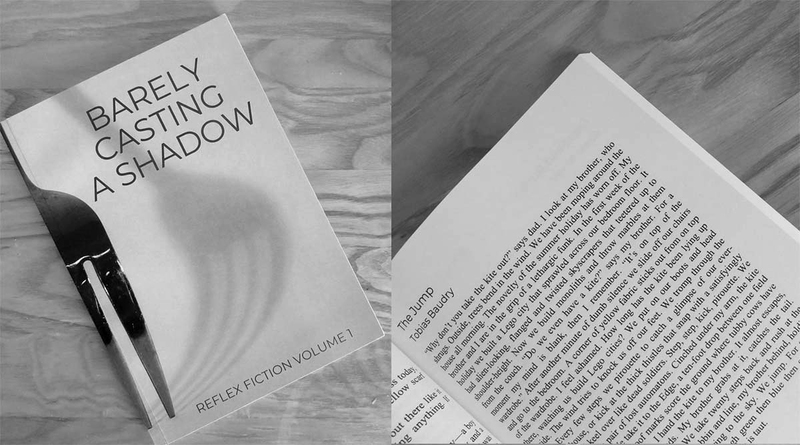 In May 2018 Reflex Fiction published their first anthology titled “Barely Casting a Shadow” and it’s great to be part of it with my story ‘The Jump’. Barely Casting a Shadow features 161 stories from 138 fiction writers in the world, all long-listed for the first four rounds of the Reflex Fiction flash fiction competition. Paperback | 181 pages | ISBN: 978-1-9829-2379-2 | It’s now on sale at Amazon Price: £10 / $13.50.